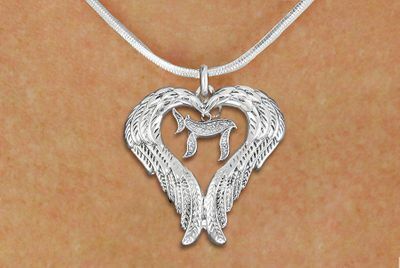 WITH DETAILED SILVER TONE "CHAI"
Exclusively Ours! 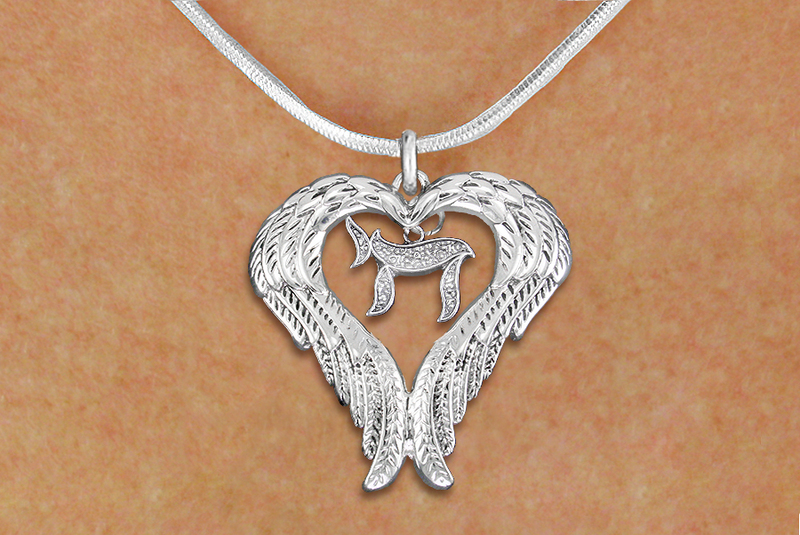 Lead & Nickel Free Antiqued Silver Tone Guardian Angel Wing Pendant With Free Hanging Detailed Textured Chai (Life) Charm Comes On A Delicate Silver Tone Snake Chain Necklace With Lobster Clasp. Great Idea For Religious Friends And Family.